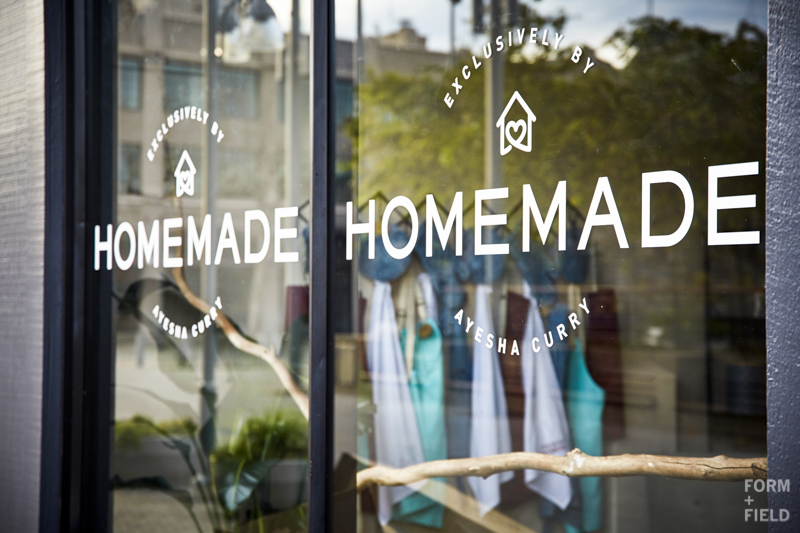 In case you haven’t heard, we had the incredible opportunity of designing Ayesha Curry’s Homemade Pop-Up Shop in Oakland’s Jack London Square! Ayesha recently relaunched her Homemade brand, and the pop-up shop was a way for her fans to experience her brand and products in real-life. We had a blast creating a retail space that embodied her vision! You can visit the store throughout the month of February at 423 Water St, but in case you can’t make it in-person, here’s some before and after photos to show you what we accomplished in TWO WEEKS start to finish. Big thanks to partner Cost Plus World Market who provided all of the furnishings! AFTER: Never underestimate the power of paint to transform! Looking for more? Read the short Q&A with Ayesha herself in the Rue Magazine feature. What do you love most about this retail space transformation? Share with us in the comments below!